This site helps fill a need. Low Carb Review is a new site dedicated to reporting the results of one person’s test trials of low carb foods and products. 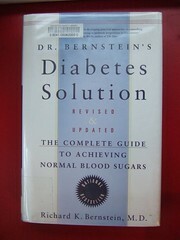 He reports the part that matters, which is the rise in blood sugar after eating. His test subject is himself, but, being an engineer, he takes a very careful approach. Each person’s blood sugar responses can be unpredictably different, but still this is helpful and a valiant contribution. I think the pumpkin and ricotta cheese breakfast dish is tempting (he refers to this as pumpkin “cereal”). You can click through from his site to the recipe, which he found on About.com Low Carb Diets.